That comfortable part is what really stands out. 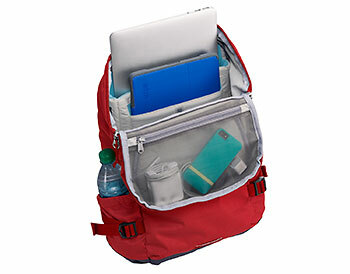 Most backpacks have lots of pockets, zippers, compartments, loops, straps, etc., to accommodate all your stuff. But most backpacks are just downright lumpy, bulky, heavy and highly uncomfortable once they’re full of all your stuff. Climb into your stm drifter backpack and you feel like you’re slipping into a custom-made, tailored-just-for-you, bespoke vest. Weight is evenly distributed, the padding prevents irritating binding and there’s room for documents, gym gear, lunch, umbrella, water bottle and your laptop. The specs state that a 15” laptop will easily fit, but my 17” MacBook Pro slides snugly into the padded slot just as well. •	Large main packing space for books, shoes, gear, clothing, etc. Like a good table wine, the drifter goes well with everything. Haul all your athletic gear to the club while riding your bike, load it with groceries at the market, take it on mountain hikes, pack it to class at the U or make it your go-to bag for traveling anywhere in the world. It will be your best travel companion. It protects your electronic devices as well as your documents, lunch, toiletries, jewelry and even your brolly. There’s a pocket for everything. The drifter is the last backpack you’ll ever need. And if it rains, no danger. Just zip out its raincoat. 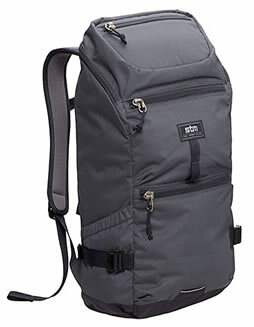 FYI, stm also makes a snazzier version of the drifter backpack - the drifter energy 15” laptop backpack SKU: stm-111-037PZ-16 for $239.95. 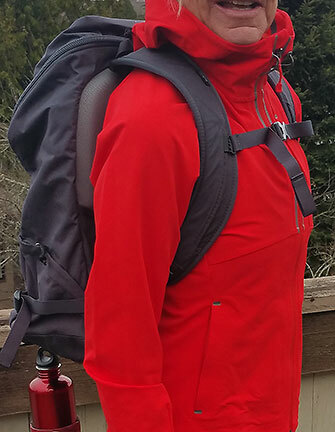 I haven’t used this model, and it is not pictured, but if it’s anything as comfortable, convenient and easy to use as the original drifter, the addition of an integrated energy supply can only be an improvement. This energy model has a built-in power source for an extra 15-20 hours of phone time and additional power for your laptop. Its LED dashboard has easy access for a plug-in point.